I go through the same pattern most mornings; I get up at the last possible moment, think of a million excuses as to how I could have a little more sleep or a little longer in bed, to then come to the realization that once I make it out of my bed I’m off to do what I love. I find the thought of being in the creative atmosphere of the studio very motivating no matter what time of the day. Who would you most like to dance with & what would you dance ? What a wonderful question. I would love to share the stage with two of my dancing idols -Baryshnikov and Carlos Acosta in Christopher Bruce’s Rooster. It’s something I have always wanted to dance. I have even gone as far as to cast it all with my favourite dancers, in my dream world. I would also love to dance Mats Ek’s Carmen with Tamara Rojo. In reality I would like to experience working with different partners from all sorts of dance genres to nurture my own skills and knowledge. If you could dance anywhere in the world (not only in a theatre), where would you dance ? I’ve been lucky enough to dance in some amazing venues already, but I would love to dance at the Met in New York and also any of the wonderful theatres in Russia. However, saying that, dancing here at home is very special. At the moment my working day starts with 10am class followed by rehearsals until 2.30pm, at which point we break for lunch. Rehearsals resume at 3.30 until 6.30 . Today I rehearsed two of three pieces for our triple bill, as well as Romeo and Juliet, and also some Dangerous Liaisons. Later in the week I will add Wuthering Heights and Peter Pan to the rep I am rehearsing. I have between two and three places to learn in each piece of rep. After work finishes I head to the gym to do my rehab exercises for an injury which I am carrying at the moment. Then it’s back home for a hot bath and some mindless staring at the tv. I’m loving the tv series Grey’s Anatomy at the moment. How do you prepare in the hours before a show ? I like to take a power nap whilst listening to my iPod and visualising the show ahead. Then I have a Lucozade usually, a bit of stretching and then it’s time to put part of my costume on and meet my partner on the stage where we will talk a few things over, remember our corrections & changes, try a few lifts and some small parts of the choreography until we are happy and feel as one. Then I will try a few of my own steps, usually the ones that are bothering me that day, and then it’s back to the changing room to put on my makeup and the rest of my costume. What are you looking forward to dancing in 2010 ? The lead roles in Swan Lake, Wuthering Heights and Dangerous Liaisons, and Peter Pan in Hong Kong. Baryshnikov, Johnny Depp, Billy Connolly, Robert de Niro, Rachel Weisz and Ricky Gervais. That I was fired in my first year at Northern Ballet Theatre by the Director, who last season promoted me to Premier Dancer. My Mum and Dad who would put the Mowtown tunes on and encourage me to dance round the living room, Baryshnikov, my dance teachers and now a whole host of dancers from the ones I share a stage with to the ones I pay money to see. Not sure, probably cool but a little crazy and funny (or at least that’s what I tell myself). Heathcliff in Wuthering Heights, purely because of the physical strength and stamina required to get through it. I think there are somewhere in the region of 10 pas de deux; the last one being the hardest. As well as that it is emotionally draining; he is a truly brilliant character to take on a real man mountain. My western stomach not agreeing with the Chinese food in Beijing the night before my premiere as Pinkerton in Madame Butterfly. I’m only now beginning to see the funny side of it. Ballet boots that fit and stay up. No mans knowledge can go beyond his experience. What’s on your iPod ? A little bit of everything. Live Lounge was the last thing I listened too. What makes you a good dance partner ? Co-ordination, sensitivity in the finger tips, strength from your core, grounded assured feet, confidence and enjoyment. An understanding of your partner’s facility, strengths and weakness, so you know when to help more, or less. Do you have a secret skill which no one knows about ? I used to be fairly good at kickboxing, now I am amazing at sleeping. Describe yourself in just three words. In terms of your ballet career, where would you like to be this time next year ? Good question. I’m asking myself the same thing at the moment. I have been with Northern Ballet Theatre a number of years now and I have done the majority of the leading male roles so I find myself at a bit of a cross roads. I would love to do some guesting as I love the challenge of doing new things. I would like to try my hand at choreography and somewhere further down the line maybe a bit of West End or an MTV music video - who knows ? Thank you again for a great and very inspiring interview!!! Kenneth Tindall is not only a Premier Dancer, he's also very eloquent. I like his answers in which he shows that he's human like you and me: he likes to sleep, he postpones things (I'll do that tomorrow), he loves challenges, etc..
Noche de verano - you're very welcome, thank you for saying so ! DUTA - thank you. One of the reasons I do these interviews to to allow the dancers to show themselves as they want others to see them - and I'm pleased that you like them ! I just wanted to drop by to say hello and to thank you from the bottom of my heart for your very sweet birthday wishes...They made my birthday that much more special. Thank you. Have a wonderful Monday. oh wow Elise!!! your interviews are so full of information....I wish I kept my first ballet shoes....These are so inspiring!!! Elise darling the cupcakes look delicious. Interesting interview, loved the Q & A about who would receive an invite to dinner, interesting indeed. Have a week full of blessings my friend. I love like he likes characters like Heatcliff and what a good idea to have a power nap while listening to an ipod! What a talented guy. I told Susie I would put the info in my next post about the supplies etc. I'm still learning myself, but will be happy to share what I know. 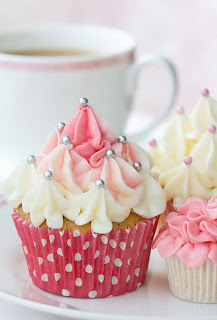 I know more about cupcakes than ballet, but I adore both. Living in the woods I do not see as much ballet as I used to, but THIS makes me want to see more! Wonderful interview and gorgeous photographs. Thank you! This was really terrific! He seems very down to earth, and those photos really showcase his amazing talent and ability! Thanks! Ana - thank you ! Duchess of Tea - you too ! OceanDreams - glad you enjoyed it ! Zuzu - thank you ! The Zhush - exactly ! Glad you enjoyed it.